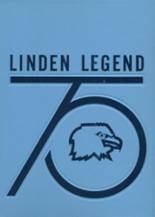 There are currently no Linden Linden, MI notable alumni listed. Be the first to add an LHS famous alumni. The memorials below are for students of Linden High School that have passed away. 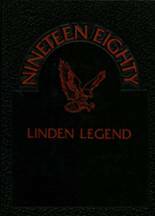 This site has been created for the former students of LHS located in Linden, Michigan. You can also find out what other graduates are doing now, share memories with other alumn, upload pictures from Linden High and find other alumni. If you are an alumn of LHS you should register now in the alumni directory. We also encourage you to interact with the rest of the alumni on this site. You can find old friends, share photos and stay updated on the latest school news. Noelle Richichi has someone searching for them. Robert Diggs has someone searching for them. Gary Werth has someone searching for them. Harvey Grant has someone searching for them. 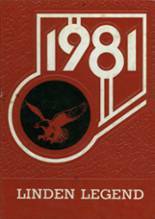 Craig Johnson requested a LHS yearbook from 1978. Craig Johnson registered as a LHS Class of 1978 alumni. Karen Anthony Guenther registered as a LHS Class of 1987 alumni. Karen Anthony Guenther added photos to their personal photo gallery. Karen Anthony Guenther updated her profile picture. Pamela Linden High School Witthuhn Green registered as a LHS Class of 1976 alumni. Pamela Linden High School Witthuhn Green added photos to their personal photo gallery. Pamela Linden High School Witthuhn Green updated her profile picture. Angie Baldwin updated her profile picture. Angie Baldwin registered as a LHS alumni. Angie Baldwin added photos to their personal photo gallery. Melissa Fields registered as a LHS alumni. Melissa Fields updated her profile picture. Melissa Fields added photos to their personal photo gallery.